John Kamilis, LCPC, CEAP, received his M.A. in Clinical Psychology from the Illinois School of Professional Psychology (Argosy University). He works with adults and adolescents dealing with multiple concerns such as addictions, substance use, and anxiety/depression issues and has helped get their lives back on track. Clients Served: Ages 12 and up. 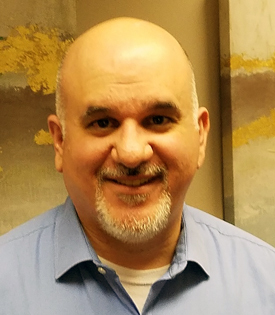 John Kamilis, LCPC, CEAP has over 20 years of experience providing individual counseling, family therapy, and marital counseling. John works with adolescents having behavioral and emotional issues, and has work with teens and their families as they recover from substance use issues. John also has worked with adults dealing with emotional issues and traumas, as well as many addictions and substance use concerns. John uses various therapeutic techniques like cognitive behavioral therapy, solution-focused, and motivational interviewing techniques, to help engage the client and get them on a path to a happy and healthier life.